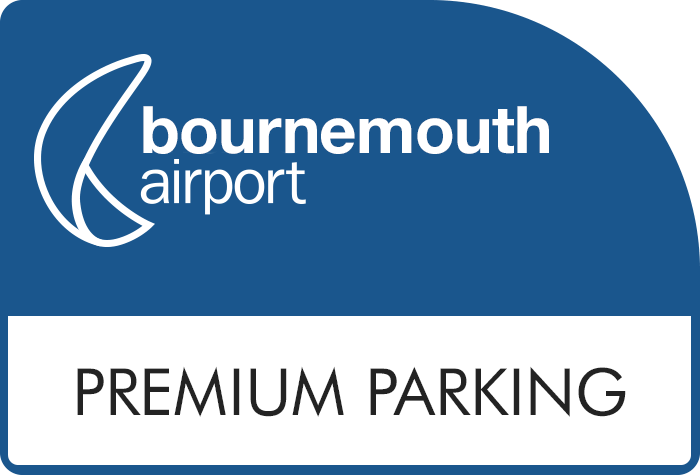 For the ultimate in time-saving parking at Bournemouth airport, Premium Parking is the perfect choice. It is an Official Long Stay service. The car park has fences and is partially covered by CCTV. Number plate recognition ensures that only customers can enter the car park. The procedures are simple; drive up to the barrier, which will lift automatically, park in a space and walk to the terminal. When you arrive back, it's just a quick walk back to the car park to pick up your car and drive home. The Premium Parking package gives you the added bonus of a security Fast Track pass, which allows you to skip the often long queues at Security. Enjoy a super-convenient car park, with extra space for your car and a Fast Track security pass included! For a straightforward service with all the security you need, look no further. Automatic barriers will recognise your car when you arrive - and keep it secured until you return. From there, it's just a five-minute stroll to the terminal. It really is that easy! It's our slickest parking service yet. Simply use the green pre-paid parking lane to pull up to the entry barrier, it will recognise your number plate and lift automatically, leaving you free to sail through and find a bay. When you're ready, you won't need to worry about waiting for transfers, as you can stroll to the terminal in just five minutes. Your car will stay exactly where you left it, and you even get to keep your keys! What's more, when you get to security, you can just whiz through with the security Fast Track pass included with this package. Your car will be in good hands while you're away, as the car park has it covered when it comes to security. The area is secured with fencing and is partially covered by CCTV, and there's even number plate recognition at the exit barrier for added peace of mind. You get two free coffees at Joe's with this package. The Fast Track pass works for up to six people. If you lose your token, the car park will charge you £5 to exit. We booked premium parking and there were no spaces left again. This is the second time this has happened.We will be going away again in September and are thinking of using a taxi. I had booked premium parking at Bournemouth Airport through Holiday Extras. The online booking and confirmation process was simple. So was getting access to the Airport parking area. However, all the premium car parking spaces were full - presumably they had been over-booked by the Airport. So, I had to park in a less convenient standard parking space. A rather frustrating start to the holiday - but not something within Holiday Extras' direct control. I am currently waiting for a response from Bournemouth Airport's Car Parking Team to my claim for a refund of the difference between what I paid for premium parking, and the cost of standard parking. I have copied the Customer Team at Holiday Extras into that emailed claim for information. They have acknowledged receipt, something that the Airport has yet to do. Before making that claim, I had phoned the Airport's Car parking Team, who initially simply transferred the call to Holiday Extras saying it was an issue for you to deal with. Your member of staff was much more helpful. there were no premier car parking spaces available at bournemouth airport on our arrival but were able to park in another area. it happens that none of the other spaces were too far away to be able to walk to the terminal but what was the point of paying a premium rate for a space that does not exist??? Also if we were less able, I would be very unhappy to have had to walk further than expected with luggage in tow. I've used Holiday Extras previously and been pleased, unfortunately this booking just didn't work out ! Booked premium car parking at Bournemouth Airport, but on arrival it was full, the car park is basically marked up but accessible to everyone, just drive in and park where you want. Ended up parking generally and quite a way from the terminal. Arriving back on New Year's Eve late, I had planned on the car being close by, not a hike across a dark wet car park trying to find my car. The queues to get out were horrible.! Our customers rated Premium Parking on average 8/10 (32 reviews). Read Premium Parking reviews.